French Oscar winner Binoche, 54, is leading a six-member panel choosing the winner of the prestigious Golden and Silver Bear prizes, to be awarded at a gala ceremony on 16 February. Last year, with the #MeToo movement against abuses of power roiling the industry, the innovative docudrama ‘Touch Me Not’ about sexual intimacy by Romania’s Adina Pintilie clinched the top honours. For the first time this year, seven out of the 17 contenders are women – a more than 40% share that eclipses rivals such as Cannes and Venice, which have come under fire as chummy men’s clubs. 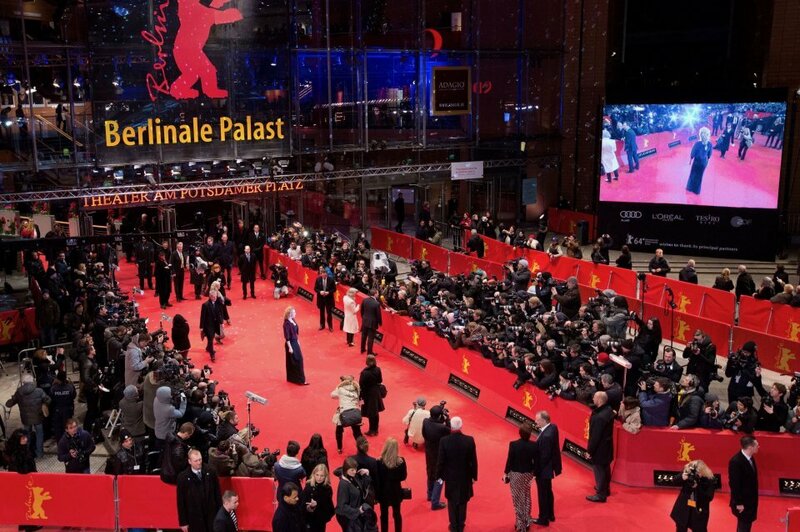 British producer, director and actress Trudie Styler, 65, who is also on the jury, said the Berlinale had long championed films by under-represented groups but that this year’s line-up was ‘not only courageous but a big step forward’. Denmark’s Lone Scherfig, who made the Oscar-nominated coming-of-age tale ‘An Education’ in 2009, started the festival with the premiere of her film ‘The Kindness of Strangers’. The bittersweet drama stars Zoe Kazan (‘The Big Sick’) as a mother of two fleeing domestic violence who has to rely on her fellow New Yorkers for help, in a cast including Andrea Riseborough (‘The Death Of Stalin’) and Bill Nighy (‘Love Actually’). ‘This is about a woman who is stronger than she thinks,’ Scherfig, 59, told reporters. She said that as cosmopolitan New York is ‘kind of everybody’s capital’, it was the right backdrop for a story about how societies deal with their most vulnerable members. Nighy, who also appeared in Scherfig’s 2017 feel-good movie ‘Their Finest’, said that given the ‘current climate’ where the two films are set – in the United States and Britain – he welcomed her upbeat message. ‘I think any film currently that emphasises those things which unite us rather than those things that divide us … is not only desirable, it’s essential,’ he said. In June, festival chief Dieter Kosslick will be succeeded after 18 years at the helm by Carlo Chatrian, the current head of Switzerland’s Locarno film festival, and Mariette Rissenbeek, the Dutch director of German Film, which promotes homegrown movies abroad. He said he saw scope for cinemas to ‘co-exist’ and thrive, even as box office receipts fell 14% in Germany alone last year. After winning the Golden Lion top prize at the Venice Film Festival in September with ‘Roma’, Netflix will enter the Berlin race for the first time with the drama ‘Elisa and Marcela’. The picture by Isabel Coixet (‘The Bookshop’) is based on the true story of two women who pioneered gay marriage in Spain in 1901 by posing as man and wife.